The 3 Weeds Hotel was established in 1881 and is one of the original hotels in the Inner West. Our spectacular venue has features to suit everyone, from comfy lounges, fireplace, intimate wine bar, communal bar tables and the 3 Weeds Restaurant, a multi-award winning restaurant. Being one of the original pubs in the area, a focus on the local community has always been a big part of the business. So Good. So Close. So Unique. The 3 Weeds Hotel was established in 1881 as the 'Red Lion Hotel'. Soon after in 1882 the name was changed to the 'Rose, Shamrock & Thistle', however the venue has always been known as the '3 Weeds'. 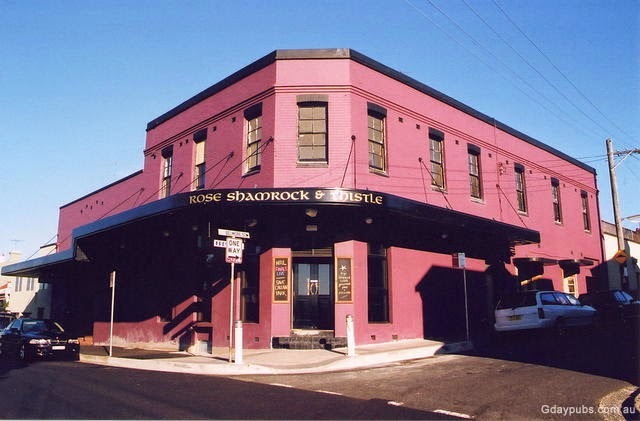 Originally the 'Rose, Shamrock & Thistle' was a Catholic Hotel, which meant that the pub downstairs was Irish. This brought with it a rough face and crowd. Throughout the 1960's -1970's notorious underworld figures such as 'Roger Rogerson' & 'Neddy Smith' became familiar faces in the swarm of local patrons. Neddy would even occasionally moonlight as our doorman. With the rise of Sydney's live music scene in the 1970's the '3 Weeds' saw itself take on another change of scene. Becoming a well known spot for live music people would travel from all over Sydney to enjoy live bands perform blues, folk & funk tunes. In 2000 the pub took a well earned break and was closed, under renovations, until 2002. This was when the iconic features of the venue that you know and love today were replaced, re-polished, re-painted and set in stone. The 3 Weeds today is home to an award winning restaurant, traditional sports bar, beautiful main bar with soaring cathedral ceilings and numerous function rooms which have been expertly appointed with lux finishes. Being one of the original hotels in the Inner West it has had many different faces and calls to fame over the years. While it was once famous for its live music and bands, it has always maintained it's status as a watering hole for the Balmain-Rozelle locals, and is certainly an icon of the area. Breen family from Clare Ireland owned the pub in the 1890's to 1917 when Patrick Breen and his wife Bridget both died within a year of each other. A drink to good old catholics.